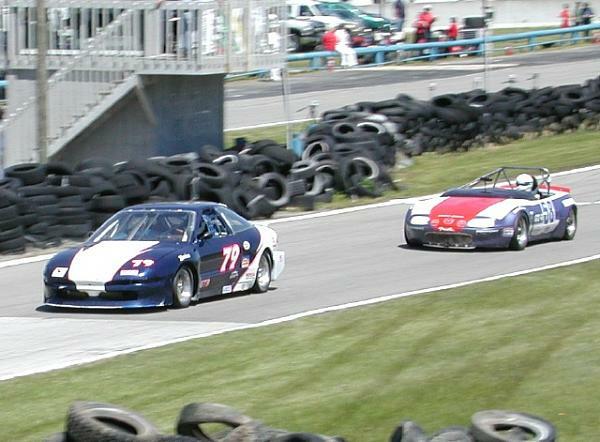 Some of you, or at least Jason, probably remember that for the last few years, I've been helping out my service manager with his race car, a Mazda RX-3, in SCCA's GT-3 national class. 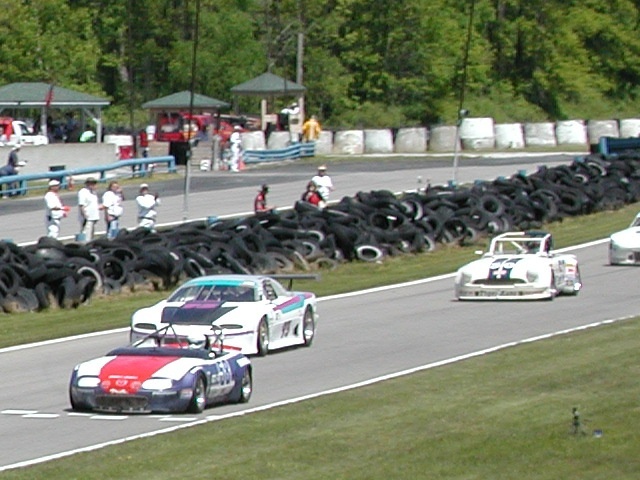 The RX-3, an old tub car, was pretty fast for what it is, (8th in the national championship Runoffs in '05, Sunoco Hard Charger in '06) but it's really not nationally competitive with the newer tube frame cars anymore. That Miata is going to fly!! What's the weight difference between the MX-3 and Miata? 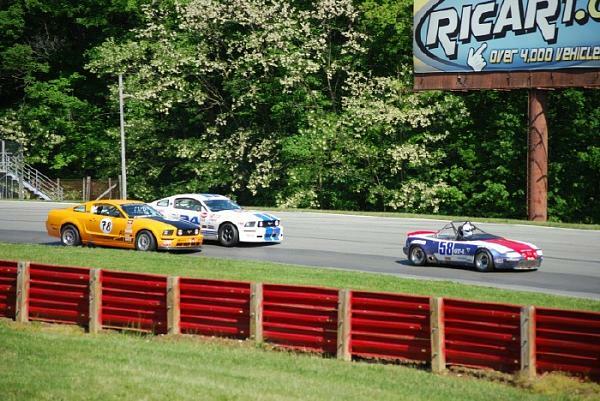 The SCCA just gave a weight break to the 12a powered Mazdas from 2080 lbs with driver down to 2000. The RX-3 needed 25 lbs of lead bolted to the floor to bring it up to legal weight. The Miata will need probably 200-300 lbs. So, not a huge weight advantage, but we'll have a lot more flexibility in where the weight will be, and a much lower center of gravity. 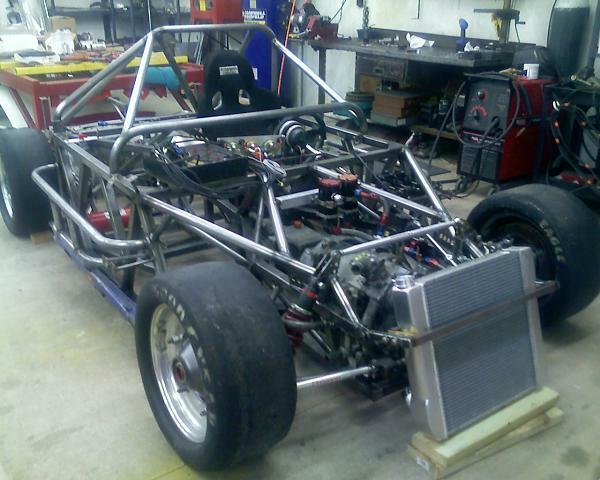 that miata is gonna be sweet when its done. 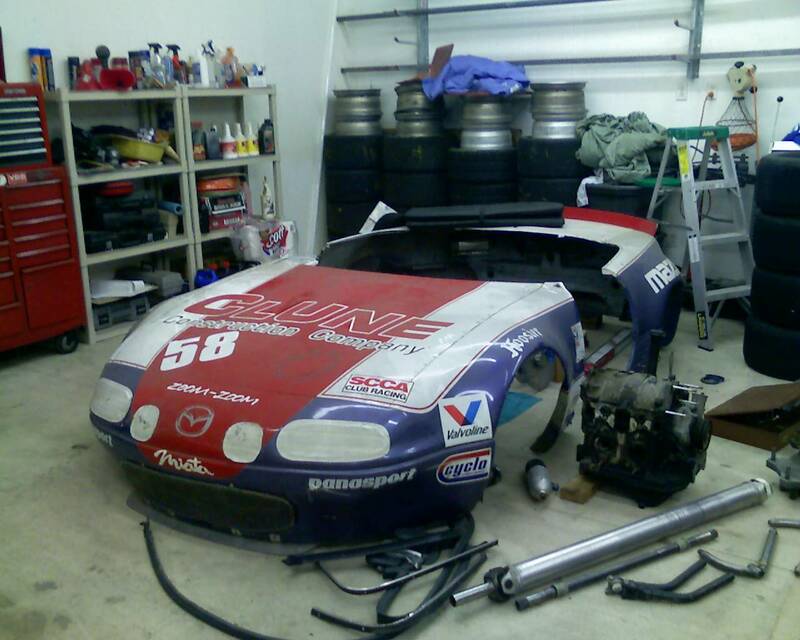 the mazda miata parts for that assemble is quite easy to find if you are in need of some. Very cool. Keep posting pictures and updates. The build project has become a rebuild project. We got the car finished in time for the double national at Nelson Ledges on Memorial Day weekend in '08. Despite some teething problems and not being fully dialed in, John had a pair of strong 2nd place finishes, beating Paul Young, who had always been quite a bit quicker than the RX-3 in his RWD Ford Probe. 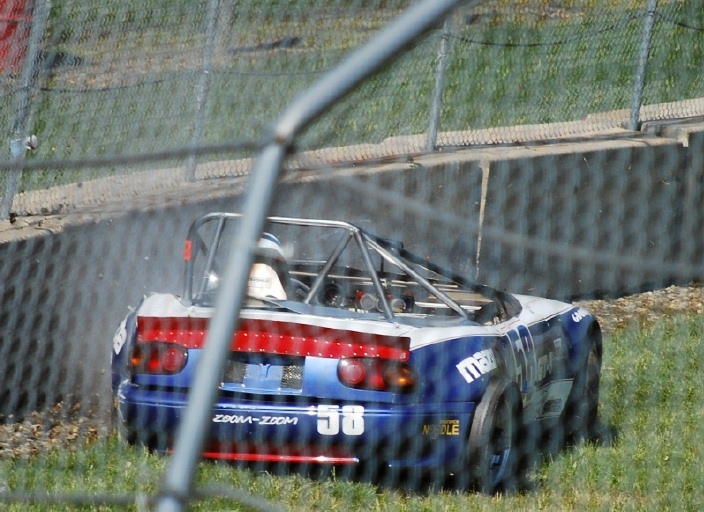 The next weekend at Mid-O, John looped it coming out of turn 7, hitting the concrete driver's side first. He hit his head on the roll cage hard enough to crack the helmet, causing a traumatic brain injury. The human brain is a bit more complex to repair than a race car, but after 2 1/2 years, things are looking hopeful for him to be out racing next year. He's got a pretty cool website at johnmillsracing.com about his recovery. 2010 Bathurst - Ford on Pole!